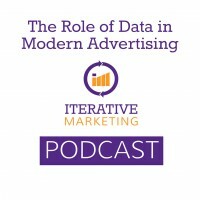 Advertising has undergone a modern shift thanks to new emerging technologies and the growing availability of data. This shift is enabling marketers to make smarter decisions with advanced insights into our audiences, as well as attribution of sales and conversions to our marketing efforts. We can now work smarter, not necessarily harder, to narrow our advertising where it works best. Programmatic buying has heavily impacted targeting and reach and recently replaced direct buying, which has helped advertisers to no longer be limited by available inventory. Programmatic buying offers more advanced second- and third-party targeting techniques, allowing marketers to better target their audiences. If you are looking to get started with programmatic buying, a great platform to try is SiteScout. Audience aggregation and nurturing allows us to aggregate data and build up audiences of like-minded individuals and then segment and target them accordingly. This is the next progression of retargeting. Advanced measurement allows us to bridge the gap between online and offline data. With online and offline data working together, we can attribute marketing efforts to sales/conversions. Many free tools allow us to migrate and analyze data, including Google Analytics & Google Data Studio. While there are many other tools available for measurement, A/B testing and audience polling, stay tuned for information on those tools in a future podcast. The shift in modern advertising may be something you have to work with your media buyers on to ensure your pricing/commission structure is advantageous and working for you. Read more about this in our blog The Secrets to Making Digital Media Buys More Profitable for Your Agency.